Camping isn’t really a vacation, but it makes for good memories. Being unprepared can make camping challenging. Ensure your next trip is awesome. Below are twenty-one family camping tips shared by our friend Julie (from Happy Strong Home) to ensure your next adventure is a success. We decided to start camping later in life. Neither my husband or I was raised as campers, but, we thought camping trips would be an exciting (and cheap) family vacation tradition for when we had kids. So for the past decade, we have been campers. We’ve experienced the good and the bad things about camping. We’ve learned hard-knock lessons that nearly made us hate camping. But each trip teaches us how to better prepare for the next adventure, which inevitably happens. Here’s my best advice for how to not hate your next camping trip! Start small. Borrow someone’s gear. Make a weekender trip of two or three nights. That way if you hate it, you’re home soon and haven’t invested a ton of money. Tag along on someone else’s camping trip (but get your own spot) so you can learn from them. Although in other vacation settings, tagalongs would be frowned upon, campers generally like a group. Make a detailed packing list. Then par it down as much as you can. You will NOT read all those books and magazines. The kids don’t need fifty toys (they’re supposed to be outside, remember?). Research the area. Note the nearest gas station, grocery store, and medical care center. Jot down phone numbers and addresses in case you don’t have a cell signal. And mark these on a printed map. It’s so important to know where to go if your child gets sick on vacation! Choose your site with care: Sites that are flat are fantastic. Sites near bathrooms are convenient but loud. Sites with a lean-to offer fantastic shelter if the weather is yucky. Sites with electrical and water hookups are fabulous but cost more. 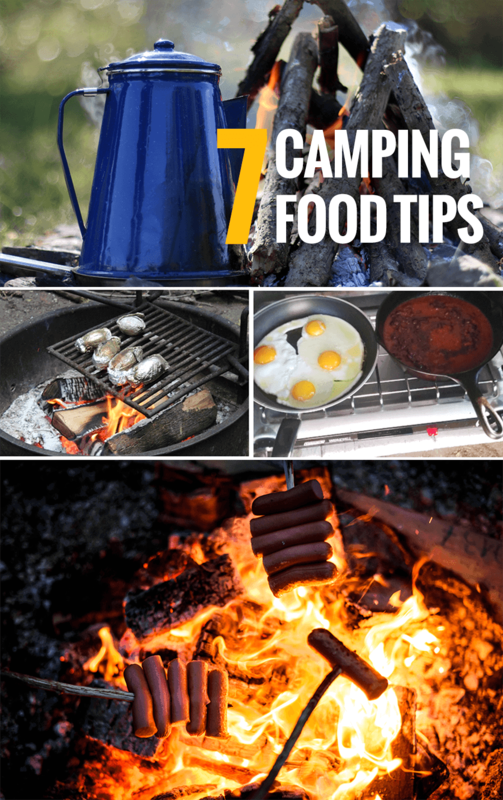 Family Camping Tips — Food! Keep it simple and non-perishable. Do not read Bon Appetit as your menu-planning guide. This will certainly make you hate your next camping trip! Just trust me (unless, of course, you’re actually one of the magazine’s editors, then by all means…). In the wild, you’ll have to buy ice daily to keep food from spoiling, so minimize ‘fresh’ food options. Double bag all cooler items, because ice melts. And plastic baggies always seem to get holes in them. You don’t want to wake up to soggy bread. Store all food in the car overnight. In a word: Bears. But in other words: Skunks, Raccoons, Squirrels, and Birds. Invest in a pop-up screen house. Because it always rains at lunchtime. Gas Grills Rule. There are many ways to cook at a campsite (I’ve tried at least thirteen ways of cooking at a campfire). But the easiest and fastest by far is a gas grill you bring from home. Pack the cooler in the car last, so it’s the first thing out – the kids will be ravenous after hours in the car. Family Camping Tips — Setting Up! Bring a kid-sized rake. It’ll look absurd, but when you can’t sleep for all the hard lumps, you’ll wish you had! Use the rake to clear the ground of small rocks and acorns before setting up a tent. I recommend an easy 1-minute pop-up tent. Ours takes a solid 20-30 minutes to set up and only because we’ve been practicing for years! Arrive early enough to set up before dark! Do not rough it on the bedding. Go for the double height inflatable queen mattress, cots, sleeping bags, and yes, pillows from home. Bring extra sheets and pillow cases because bedding absorbs moisture from the forest at night, and you may not have good weather to air these out during the day. Keep clothing and linens sealed. Use large zipper bags or plastic totes. The moisture makes everything feel damp, which will totally make your trip fall into the “hate-able” category. Bring rope or a foldable drying rack to hang wet clothing. Bring earplugs. If it’s not someone snoring, it’ll be your next-tent-neighbors ignoring quiet hours. Or, the incessant sound of screech owls in the trees! Ask me how I know. Pack a comprehensive medical kit. You expect scrapes and bumps in the woods, but there are unexpected illnesses too. Such as the time my son demanded to go outside at 3 a.m., and in my parenting wisdom, I told him this wasn’t a good time: he promptly threw up all over us. A bucket, towels, and children’s fever medications are now on our packing list. Most camping locations have zero amenities within driving distance in the wee hours. Every year, we prepare for an amazing camping trip. And you know what… despite all the minor setbacks, when it’s all over it always is amazing. The lake, nature walks, our boys running around chasing salamanders, s’mores over the campfire and card games on rainy days. There is so much to love about camping. Being unprepared can make it challenging, though. I hope these tips help you NOT to hate your next camping trip! 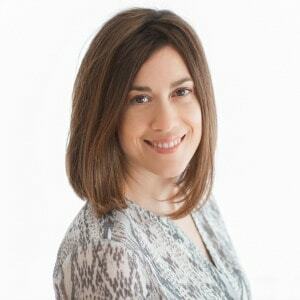 Julie Kieras is a former English teacher turned stay-at-home-mom. She is quietly amassing the world’s greatest little home library and loudly enjoying life as a mom of two rambunctious boys. All while sharing ideas and tips for natural living and play on her family blog HappyStrongHome.com!